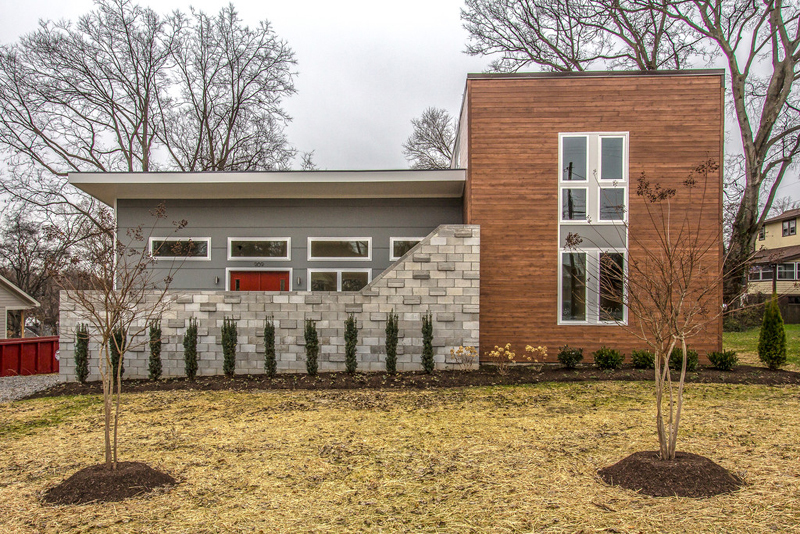 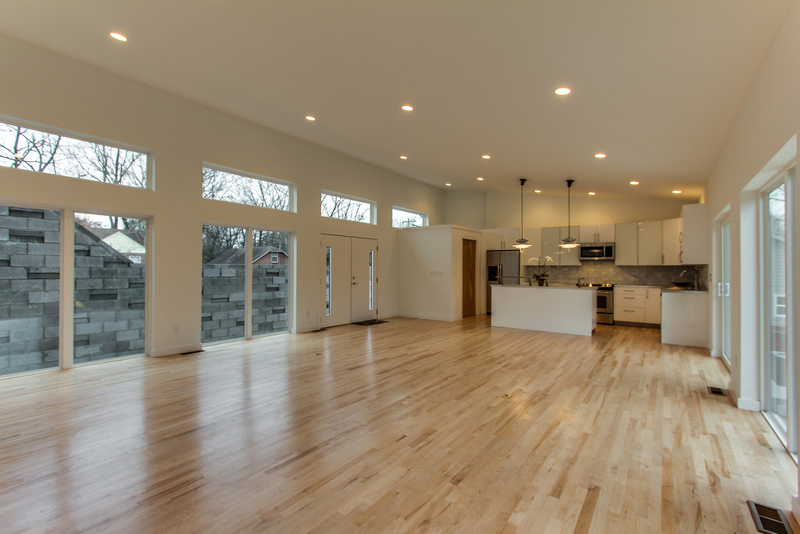 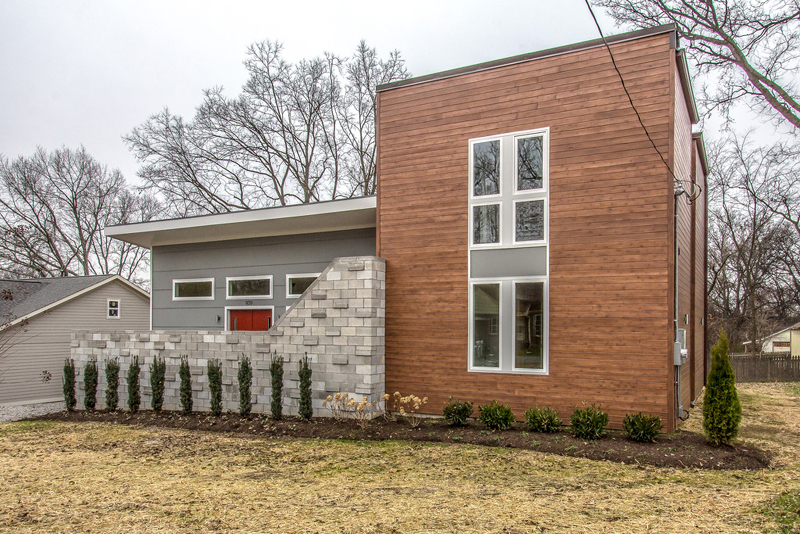 A mid century modern inspired spec home built in East Nashville. 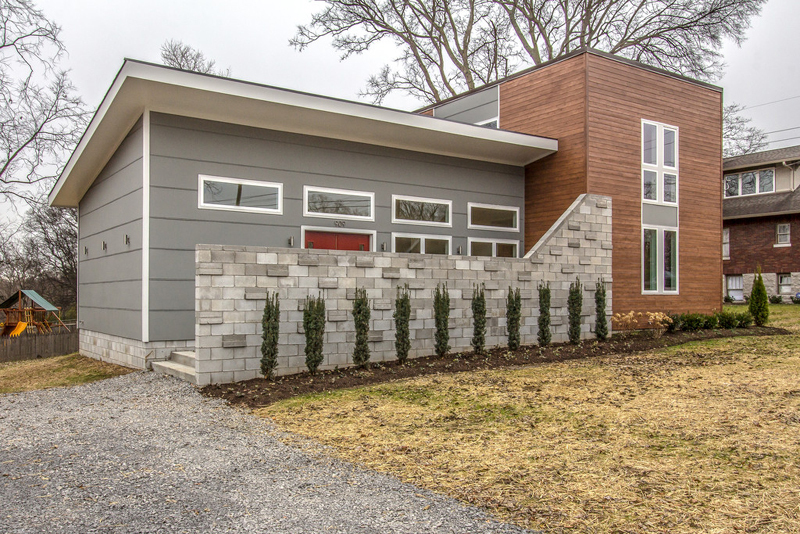 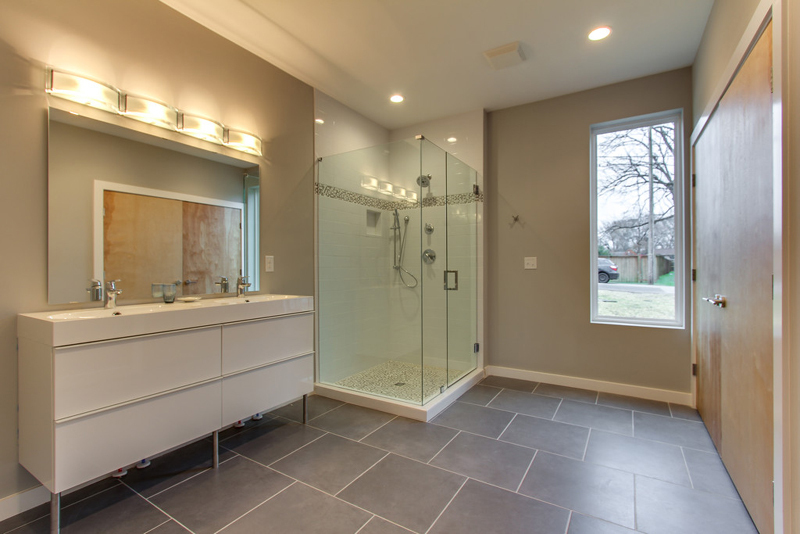 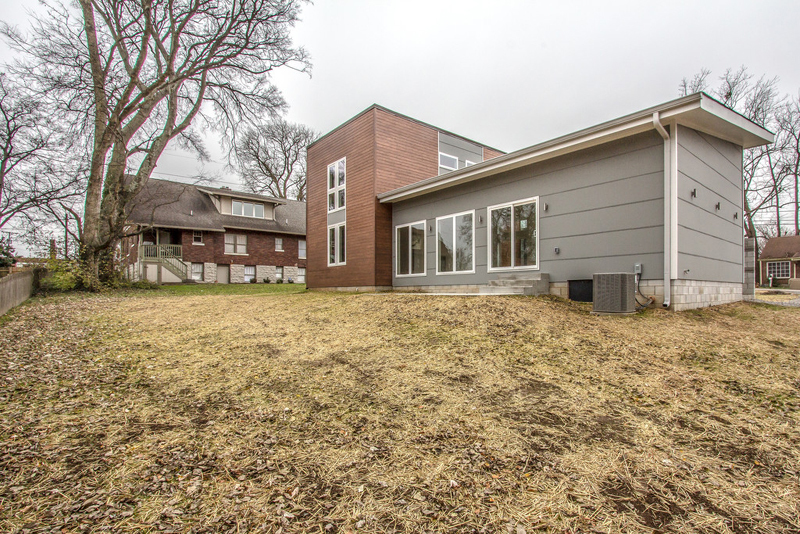 This two level house is 1,985 square feet and is divided into two volumes. 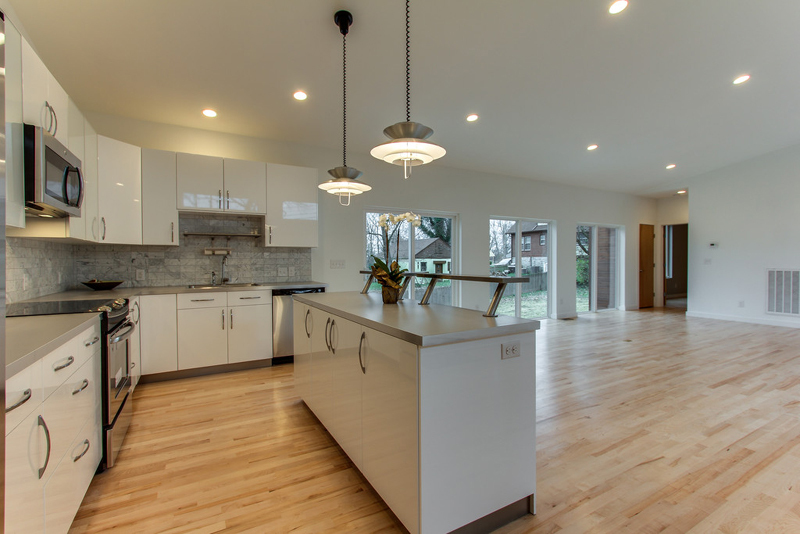 Kitchen, living and dining spaces are all together in one large open space with vaulted ceilings and large amounts of glass. 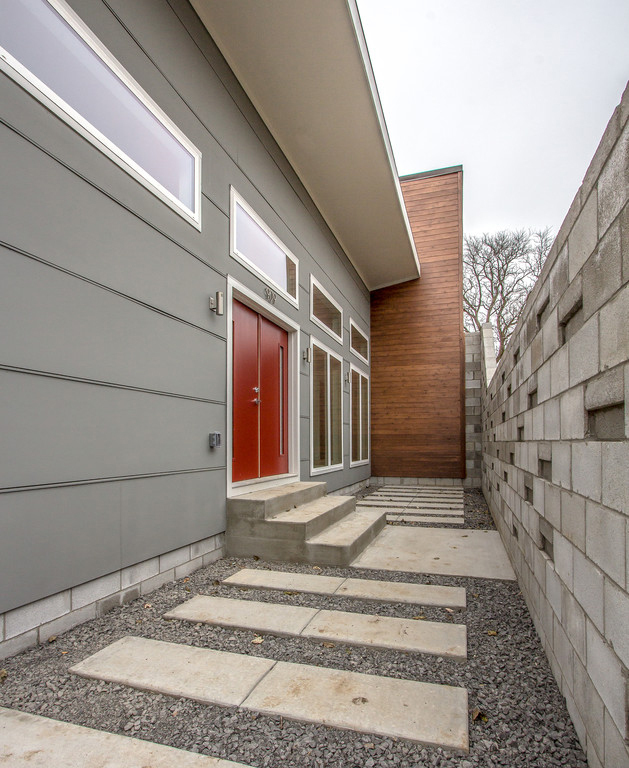 Towards the road, a block courtyard wall provides privacy while still allowing for natural light and the feeling of openness. 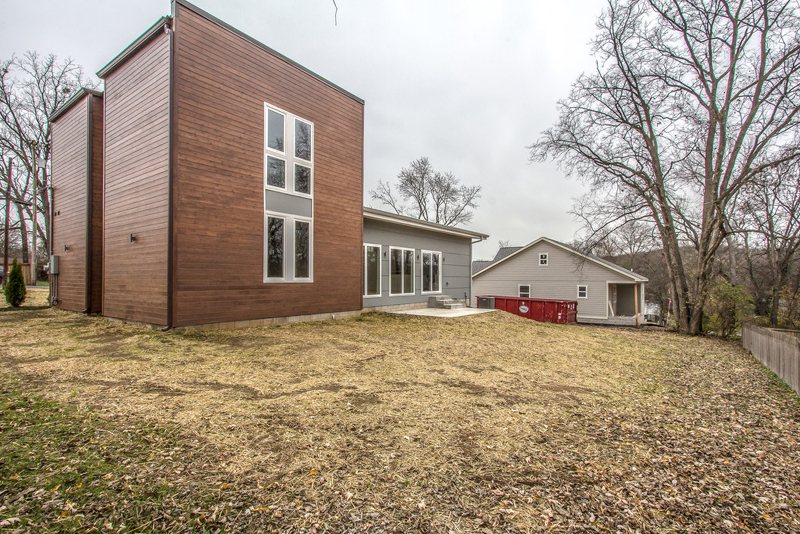 The two story cedar clad volume houses the master suite on the lower level and two bedrooms up top with an adjoining bath.